This course is designed to provide graduate students and postdoctoral associates with techniques that enhance both validity and responsible conduct in scientific practice. 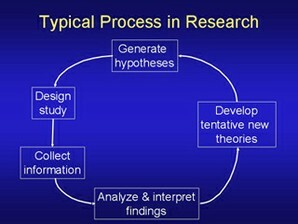 Lectures present practical steps for developing skills in scientific research and are combined with discussion of cases. The course covers study design, preparation of proposals and manuscripts, peer review, authorship, use of humans and non-human animals in research, allegations of misconduct, and intellectual property. Also discussed are mentoring relationships and career options. Aspects of responsible research conduct are integrated into lectures and case discussion as appropriate to the specific topic. This course also satisfies the training grant requirements of the NIH for education in the responsible conduct of research. Beginning in Spring 2004, this course will be titled "Survival Skills for Researchers: The Responsible Conduct of Research."